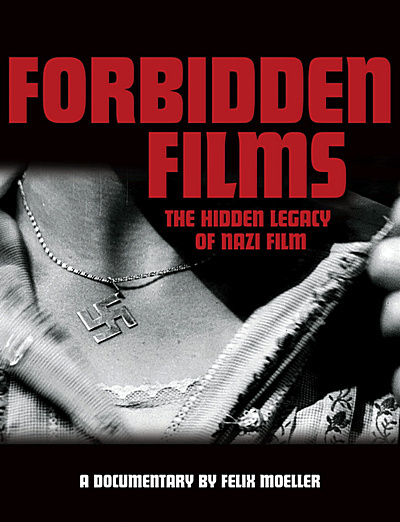 The documentary Forbidden Films opens with a familiar metaphor for cinephiles. As Felix Moeller’s camera tours a Berlin archive of 1,200 German films made between 1933 and 1945, a guide mentions that the nitro-celluloid filmstrips are highly flammable. In both the literal and figurative sense, these Nazi propaganda movies are explosive. Though most of the tamer Nazi films are available in edited versions that snip out the swastikas, 40 remain banned from public consumption in Germany because their ideology has been deemed too dangerous. These 40 are the ones that interest Moeller. The film raises the question: Should these films – some of which, crude as they are, are still poisonous – be made available to the general public without restriction?